Posted on 22 March 2013. 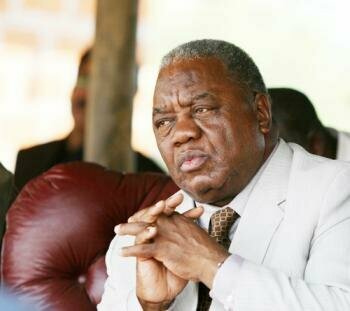 Former President Rupiah Banda may be arrested today as the Joint Government Investigative Team (JGIT) has already warned and cautioned him. This is part of the government plan which according to Justice Minister Wynter Kabimba would be the next logical step after being warned and cautioned by JGIT would be to open a docket for Mr Banda. Speaking in a Television interview on Wednesday evening Mr Kabimba revealed that it was a strategy for the Patriotic Front to ambush the opposition in parliament and present the motion on the removal of Mr Banda’s immunity because “surprise” was one of the principles of war. Mr Kabimba could not explain why the joint team had proceeded to interrogate the former head of state when he (Kabimba) told parliament that the investigations had been completed. He instead said that he read in the press that Mr Banda had been cautioned. “When I came back in the country I read on one of the Newspapers that Mr Banda had been warned and cautioned. It is not an investigation but a warn and caution. “The next time is to open a docket and my advice to the legal team is that they should wait until they get to court where they can defend themselves,” Mr Kabimba said. He warned defence lawyers to stop making political statements on the case but wait for the case to unfold in court. Mr Banda’s immunity was removed last Friday after the National Assembly adopted a resolution that was peppered by points of order, some of them against Speaker Dr Patrick Matibini. This forced opposition members of parliament to walk out of parliament in protest. However on Tuesday Mr Banda asked the Lusaka high court to nullify the decision by parliament to remove his immunity from prosecution. 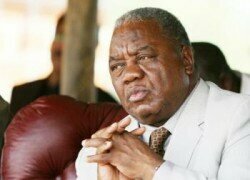 The former head of state through his lawyers challenged the decision by Speaker to hear the motion moved by Mr Kabimba despite a petition submitted in court was illegal and irregular. In addition Mr Banda’s lawyers feel that inadequate consultation was undertaken by the National Assembly before the matter was put to the house. It is felt that members of the National Assembly should have studied the case through an appropriate committee before the full house was subjected to a motion.